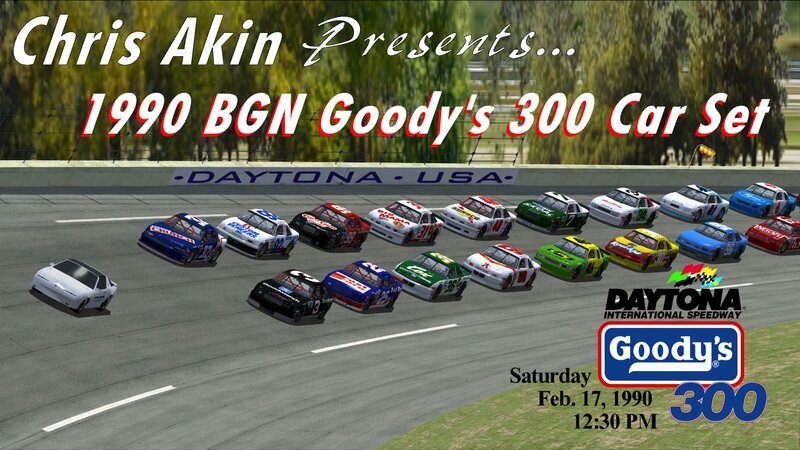 This awesome 1990 BGN car set for the NR2003 Cup90 mod is finally released! 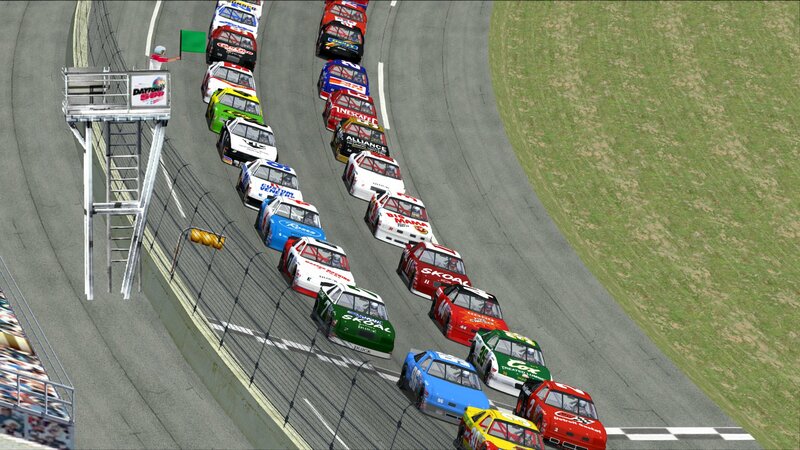 This awesome nostalgic collection for the NR2003 Cup90 mod includes 57 total cars, representing every single car and driver that attempted to qualify for the 44-car starting field of the 1990 Goody's 300 at the Daytona International Speedway. Even the cars and drivers that failed to qualify for the race are included. Each car comes with a matching pit crew and war wagon and are rated to reflect their season long performance in only the races that they competed in during the 1990 BGN campaign. 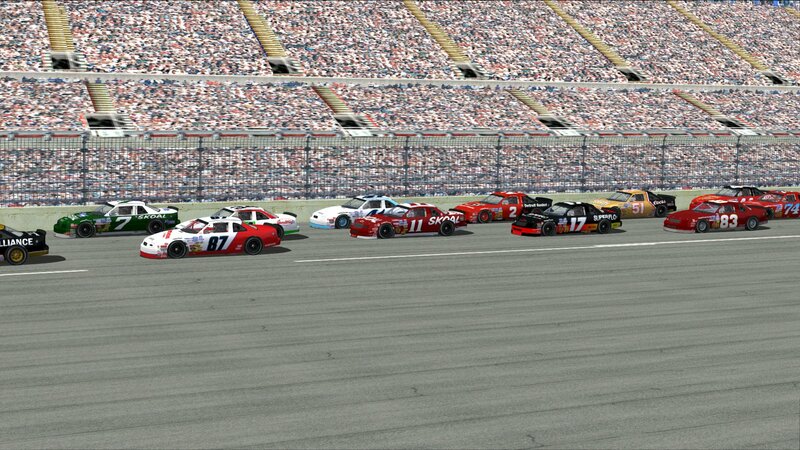 Also included is a roster file of the 44 cars that qualified for the event. * Chuck Bown - 1990 BGN Champion. * Jimmy Hensley - 1990 Season Points Runner-up. * Tommy Houston - 4 Wins, 9 Top 5's and 14 Top 10's. * Fan Favorites: Bobby Labonte, Tommy Ellis, Kenny Wallace, L.D. Ottinger, plus many more! They are all here in their historic glory and ready to rumble. And this is just the beginning. To sweeten the pot even more... Chris is planning on painting up additional add-on car sets of drivers and their iconic paint schemes that competed during the 1990 BGN Season. So stay tuned! Please be sure to read the README file that comes with the set for a listing of all the people who lent a helping hand of support in the production of this project. So... get ready to do battle with the best of the best of the 1990 BGN campaign? Here's hoping that this set will provide some great memories and keep you entertained for many laps to come. El Chavito Del 8, Xerex, frow78 and 1 other person like this.